Coke cost $.05 at that time. It takes time and commitment to locating, clipping, printing and organizing coupons. An experienced couponer knows how important it is to get organized and plans the shopping trip a head of time. Most effective methods for organizing your coupons are below--you can choose whats best for you. 1. You will want to clip both online and offline coupons, sort by categories. ( Sample list is below) Some coupons may have a store names on them. You can use these at other stores if the store permits. 2. Sport card sleeves work great to hold coupons. There are many pockets on each sheet, you can see the coupon and expiration date easily. You can ad tabs on the sheets for your categories. 3.You can find the sleeves at walmart, office supply stores, or at my amazon store-on this page. 4. Next you need a 3 ring notebook--it does not need to be fancy--that's your choice. You will need a pencil holder for it. This will hold your scissors, pen, pencils, note pad, calculator. You can also find these items at walmart, office supply stores, or my amazon store on this page. ​You can purchase items at walmart, office supply stores, or my amazon store on this page. 2.You will want to clip both online and offline coupons--you will have to use a paper clip to keep multiplies. I found using envelopes also to be helpful. You can write on the front if you have several envelopes. 1. You will need an expansion file, tabs for categories. (Sample list below)​ You can purchase items at walmart, office supply stores, or my amazon store on this page. 2​..You will want to clip both online and offline coupons--you will have to use a paper clips to keep multiplies. I found using envelopes also can be helpful. You can write on the front if you have several envelopes. ​1. This is a very small coupon holder but great for shopping. It can hold what your planning on purchasing, plus any coupons you pick up at the store for your next visit. Have a folder to keep all your ads, so you have easy access. Red Plum ---> <a href="http://www.kqzyfj.com/click-5749861-11309493" target="_top"
Well----I have been told several times that using coupons are a waste of time. To some of you maybe this is true. Do you know I've seen coupons sit on desks, tables, ect. ---to be shuffled threw a couple times and put back there. Never to be touched again till there in the trash. I have never seen coupons grow legs, read ads, drive to the store, pick up the products---collect the savings! It does take work and I will do my best to show you how! Rudi’s Organic http://www.rudisbakery.com/ **Organic!Eden’s http://www.edenfoods.com/ **Organic! Starkist Tuna http://www.starkist.com/Amy’s Kitchen http://www.amys.com/ **Organic! **Includes Gluten-free products! Zatarains http://www.zatarains.com/Horizon Organic Eggs http://www.horizonorganiceggs.com/ **Organic! Coke Cola was the very first coupon to ever be offered.The offer was for .05 off a bottle of coke! I have searched for many years putting together all the information that I am going to be giving you. There are so many people that are in need of help, and truly have no idea where to go! It’s so difficult to trust things on the internet at times since scammers are everywhere anymore. I’m wanting to help all that I can. My website was started to help everyone, not for me to get rich. I pay for the website out of my pocket. It includes 26 separate pages of different categories, coupons, freebies, jobs, military, medical, education, sales and so much more. Let me tell you, I have worked over 20 years with the veterans, disabled, charities and homeless. I became disabled with a brain tumor, causing me to be pretty much deft and other disabling issues. It wasn’t that I became disabled, but that I couldn’t help out in the public anymore. I gave a great deal of thought of what I could do to still help. That’s how my website began. Now as I said earlier it has 26 pages, my facebook pages and groups are resting at 25, 34 boards on Pinterest, tons of social media, and much more. Well enough about all that. I really hope that some of you can really use this information. Well, I have been told several times that using coupons are a waste of time. To some of you maybe this is true. Do you know I’ve seen coupons sit on desks, tables, counters, to be shuffled through a couple of times and put back there? Never to be touched again till there in the trash. I have never seen coupons grow legs, read ads, drive to the store, pick up the products and collect the savings! Couponing is your own business. Wow! Where do I start! Research! Truly, I’ve done the work for you! 2. What do I need to reach my goal? 3. How much do I need to save each week? 4. How many hours do I have to spare? 6. I guarantee coupons grow fast! I’m here to help you get started on your path of becoming a savvy couponer. I will show you how to find and organize your coupons, set up the couponing systems, lead you in every way I can. LET’S GO! Pick one or two stores; learn as much as you can about the store(s). Join the store’s savings card program, if available. Find the store’s weekly ad circular online or in-store. Find out about the store’s coupon policy (get a copy), rain-check policy and senior or military discount program. Get a copy of the store layout from customer service or make your own aisle-by-aisle of the store, huge time-saver when you are organizing your coupons and making your shopping list. COUPON: Usually a small piece of printed paper that lets you get a service or product for free or at a lower price. Most important is the EXPIRATION date, the manufacturer's want you to use the coupon as soon as possible — Be a Confident Shopper by Understanding your Coupons. READ THE FINE PRINT: Secondly is know what your reading. EXAMPLE:// ( Get .50 off when you purchase two of the item. ) Or (.50 off when you purchase one item of 20 oz. or larger.) Make sure you understand exactly which product sizes and variations are valid for purchase with each coupon. For example, if the coupon is for a 20-ounce bottle of Pepsi, don’t plan to use it with a 12-ounce can of Pepsi. Couponing: A good strategy to save money on food, clothing and most items. Everyone eats, buys clothing, does activities, why not save money doing so? It is not a get rich scheme, you really need to work at it, but in the end, you will find it worth it. ORGANIZATION: The most important thing that thrifty shoppers need to know about couponing, is to be very organized. Make sure your coupons are organized before you enter the store. Looking for coupons when you are in line can be stressful. The smoother the transactions go, the easier your shopping trips become. PEAK HOURS: If your shopping during busy hours, it can make for a very bad trip. Crowds, long lines, cashiers being frustrated. Don’t wait until the last day of the sale to shop, your store is likely to be out of the items you need! Find out your store's ordering schedule. Then shop on the days you know they will be stocked. Most stores receive shipments 3 times a week and it is always the same three days. Keep in mind the time of day the shipments come in. Ask if they have items in the back. Many times the store has not had time to re-stock. Call right before you leave to see if your top 3 items are in stock. That will help you decide if it is worth a trip to the store. Try your three closest stores and choose the one that is stocked the best. TRANSACTIONS: The starting of a check out (including coupons), ending with a total on your grocery slip. You may have multiple transactions in one trip! Check your store policy to see how many you are allowed in one trip! COUPON POLICY: For every store you shop — you need to get the store policy, not every cashier is usually updated. KNOW the store’s policies so you don’t have an issue when you’re in the checkout line. No one wants to get to the register and everything fall apart when your planning on saving money! Grocery stores, retailers and local merchants will all have different coupon policies. You may be allowed to use coupons for items that are on sale in some stores, but others won’t. There are times you may get cash back if you exceed the value of your purchase, while others may not. All stores will have different rules around rain checks, coupon, and product amounts. You can use one store coupon and one manufacturer’s coupon per item. If you try to use more, chances are you are violating store policy or the terms of one of the coupons you are already using. ​FINDING COUPONS: Clipping coupons from different sources will provide you with a lot of options for products and deals. Once you're ready to start getting COUPONS, you will find several different ways to do this. Make sure you get the store weekly advertisements, so you can compare with the Newspapers, magazines, internet, e-mails, e-coupons, store cards, tear pads, store ads, the ad machines in the store aisles, manufacturers, friends, family, coupon clubs, and other area's. When you PRINT coupons, you can only print 2 of each item, from each coupon site! Coupon sites change coupons about every 7 to 10 days. Don’t use photocopied coupons. Unless the store is providing them, using photocopied coupons may be considered coupon fraud, which is against the law. E-Coupons or electronic coupons is a very convenient way to save money at the grocery store. Free coupons load directly to your participating grocery store savings card, so there is no paper to lose or forget. Below, you will find the address for e-coupons. Here are some basic rules you should follow when couponing. Coupon theft is on the rise. People are stealing coupon inserts, from store newspapers or from newspapers other people have already paid for. This is not being honest! Then, in turn, are selling these on the internet. Tear Pads: Vendors put tear pads and coupons out by their products. This is a favor to the consumer. Take a couple of these, but please do not take the whole pad or an excessive amount that is just RUDE! These are not put out for people to sell, this is a promotional tool to see what response the product is getting. Peelies: Coupons found on products. These coupons are put on certain products in order to sell them faster. Do not remove them and save them for later. Buy the product and use the coupon at checkout. These are not also not to be removed for sale. Blinkies: Found in the aisle at the store spitting out of a black box. The box usually has a red blinking light on it. Take a few of these — -saving them for a sale if you are going to buy the product. Otherwise, leave them for the next shopper. These also are not to be sold. Stores ads: Can be combined with manufacturers coupons, for even more savings. Please do not take a stack of ads from a store in order to hold for yourself. You are not the only person trying to save money. Many couponers love getting a large number of items for nothing (or next to nothing), only do this if you can actually use that amount. Don’t be greedy and leave the shelves bare, be considerate of your fellow shoppers and take only what you know you and your family will actually use. Avoid shopping at 5 pm, fellow shoppers are trying to buy groceries for dinner. Cashiers, fellow shoppers that are waiting in line will get stressed out, which ends up being a bad day. Shop when the store tends to be less crowded, such as later at night or early in the morning. You discover while at the store that you can’t use a coupon and it is still valid, leave it for someone else who may be able to make use of it. The shopper behind you has one item and no coupons, you have several items and coupons, let them go ahead of you. This is common courtesy and will give Couponers a better name. Collecting Coupons: You need to first set aside a few hours a week to find new coupons. You’ll find free coupons in the mail, newspapers and on the internet. You can find a lot of coupons on the internet, so most of your time is spent looking through coupon websites. Save those sites in some kind of a file, it makes the next search so much faster! My advice is to first gather as many coupons you can from various sources, then sort through them one by one. There are also, websites that upload electronic coupons directly to your store rewards cards. Grouping coupons: You will need to find a way to keep tabs on expiration dates and maximize your coupon grouping. Don’t rush to use the coupons immediately. In order to use coupons effectively, you will often have to use them at a later date to combine with store sales. Be aware of the expiration dates, you don’t want good coupons to go to waste. Start a system: List all multiple coupons you have. Make a plan to combine store coupons with manufacturer ones to increase savings. Take advantage of stores that double coupons for even bigger savings. 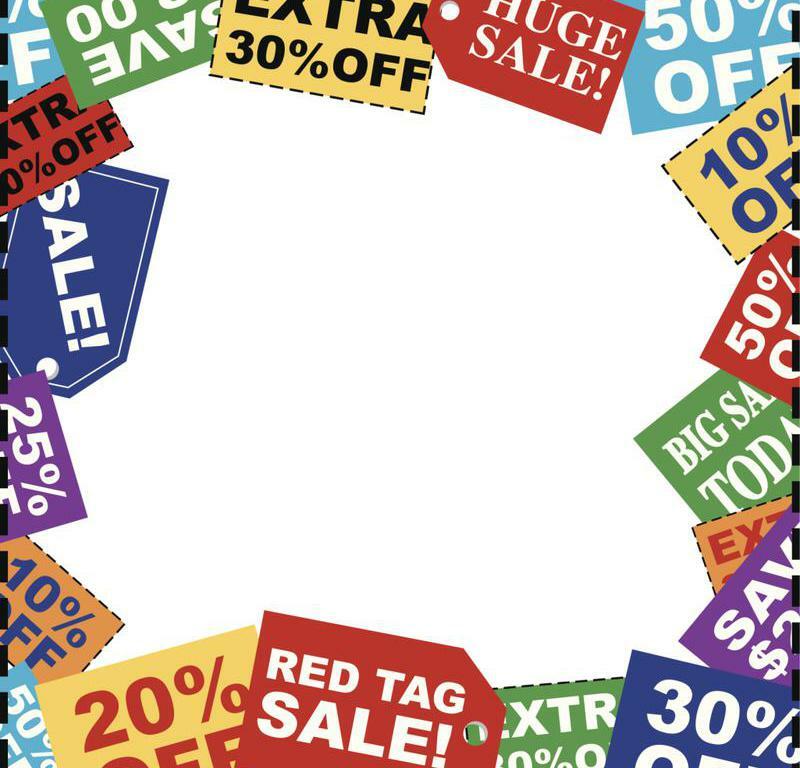 Most stores have stopped the doubling of coupons, so really watch your coupons. Compare your coupons with the sales ads. Write your shopping list and ensure that you have the right coupons for the items included. Stacking coupons: Combining coupons is known as ‘stacking’ and is one of the main goals used by Thrifty couponers to save big bucks. Store sales coupon, plus Manufacturing coupon. Your favorite store is having a sale, 10 for 10, your coupon reads $.50 off. IF the coupon doubles, you get the item free. Or you have a store coupon for $.25, a manufactures coupon for $.25, put them together/doubled makes a dollar. Making that item free! Bulk buy at bottom prices: It is essential to know when prices hit rock bottom. A general rule, the 6/ 8-week cycle. Take notes of which products go on sale, that way you know that it is the lowest price for that item. Keep a record of prices during sales so you can determine the best time to stock up. Bulk buying: When buying a large number of items, contact your store manager, so he or she can order more of the items you need. This leaves items on the shelves, making everyone happy. If you have coupons for the items ordered, let the manager know, so the cashier is aware and the items can be brought out when picking up.. Makes your shopping smoother. Loyalty program: Signing up for store loyalty programs, another saving. Some stores won’t allow non-members to shop at sale prices. You won’t be able to use online special coupons unless you become a member. There are stores that accept coupons but don’t double or triple and limit their offers to store brand items. Manufacturer coupons are accepted up to a certain value and are doubled at some grocery stores. You may use one manufacturer coupon and one store coupon per item. If the store is out of any item you planned to buy, ask customer service for a rain check. Stockpiling: takes organization and space. Yes, it's nice when you're short of something, money's tight, you know that your groceries are there. Be safe thou! What To Stockpile: Stockpile only the things your family will use, its not a savings if it just sits on a shelf! Key steps to take: Make a list of items you will use in a month. Check grocery sales papers to see what items are on sale. Check the sale prices with coupons for purchasing record your savings. What Not To Do: Remember, the point is to save money and build up a reserve of useful items. Store items that will quickly spoil. Check of expiration dates. Once a month is good! Buy things most members of your family won’t eat. Buy more than you have room to store. Stockpile storage: You will need space to store the items you're going to stockpile. Somewhere cool and dark. Heat and light can add to food deterioration. Basements provide protection, have enough room to set up metal shelving units. Other's use a portion of their garage, for paper products and toiletries, not the best for food storage if you live in a warm area. Make sure its sturdy, safe, and easy access for you. Groceries get heavy fast! How To Organize Your Stockpile: How you store the food is as important as your collection of a stockpile. A monthly rotation of foods is a must in stockpiling. This keeps expiration dates in updated. Put dry goods such as cereals, snacks, etc. in sealable plastic containers eliminating bugs! If your concerned that water damage might occur or if you live in a flood area, make sure everything is on the higher shelf's. Below please find an estimated timeline for products in storage! ALWAYS be kind to the cashier. There is always a manager if the checkout person has an attitude about your coupons, smile graciously and Thank them for their help. They may have had an unfriendly couponer or someone who tried to trick them into honoring coupons that weren’t valid. Have your method of payment ready. This is especially important if a line has formed behind you while the cashier was scanning your coupons. Your fellow shoppers and the cashier will appreciate anything you can do to make the process smoother. If you have a disagreement with the cashier, go to customer service about how you are using your coupons, politely ask them if a manager is available. If the dispute cannot be solved and you believe you are still in the right, follow up with a polite letter or phone call to the company that owns the store. You’d be surprised how often you will receive a response if you keep things civil. If you follow these simple guidelines, you and your fellow shoppers will have a more pleasant experience. You will help make sure, that couponers everywhere, get to continue to do what we love – find great deals. Don’t Throw Away Coupons! : When clipping ---take a few minutes to clip all of them.You may have friends, family or groups that you can give these to.Senior Citizens Centers, Salvation Army, Community Centers, Churches, Trading groups, Coupon Clubs, Couponing parties. You could even start your own couponing blog!Most of all the military! Military bases can accept and use coupons 6 months past their expiration dates. For a list of Military bases, you can find them on my other page! AC--Price of an item after the coupon is deducted. ALA--Lowest price possible, depending on the coupon that is used. ALDI--a discount grocery store chain. All YOU---A magazine with lots of manufacturer coupons and money-saving articles. AR---The price of an item after your rebate amount is deducted. ASAV---Refers to the size on the coupon being offered. BEEP --- A sound the register makes when the coupon is scanned but is not accepted. BERRY CART--- App where users can earn cash for free products. BRICKSEEK--- A website -- search for items using SKU or UPC numbers and zip. CARTWHEEL--- Target Discount--A app that can be used on Smartphones, or you can access it from your computer and print the list and barcode. CAT or CATALINA COUPON --- prints at the time of purchase by a separate machine next to the register. CHECK OUT 51-----free cashback website where members earn cash back for purchasing select products. CRT ---- Cash register tape coupons that print on the bottom. DQ----Coupons that are loaded onto a store card. ETS-----coupon that cannot be used towards the purchase of the trial/travel sizes of the product. EXP --- Coupon Expiration Date: Do not try to use the coupon after the expiration date. The dots behind the expiration date are a security feature and should always show up, even on a black and white coupon. FB-----Means a coupon that is on the Facebook page. HT------Tag that is placed on the neck of products including wine. Often includes a coupon or rebate. IBOTTA------ Earn cash on select products that are purchased. IVC ----- Instant Value Coupons(WAGS) ----- prints at the time of purchase by a separate machine next to the register. PEELIES --Coupons you peel from package to use during your current purchase. PDF------Coupons that do not require installations. PRICE MATCH----Stores matching another store ad. PROMO CODE --- Another name for an online coupon code. SALE---The sale of a product. STACKING -- Using a store coupon/w manufactured coupon on the same product. UFT -- Up for trade Unique Serial number: Each coupon printed has it’s own unique number in this area to detect fraudulent copies. WAGS---Walgreens--prints from a special machine next to the register. YMMV -Your miles may vary (This means the store policies may have changed due to the location of the stores) Any abbreviation with an "e" offer means its found on the internet.